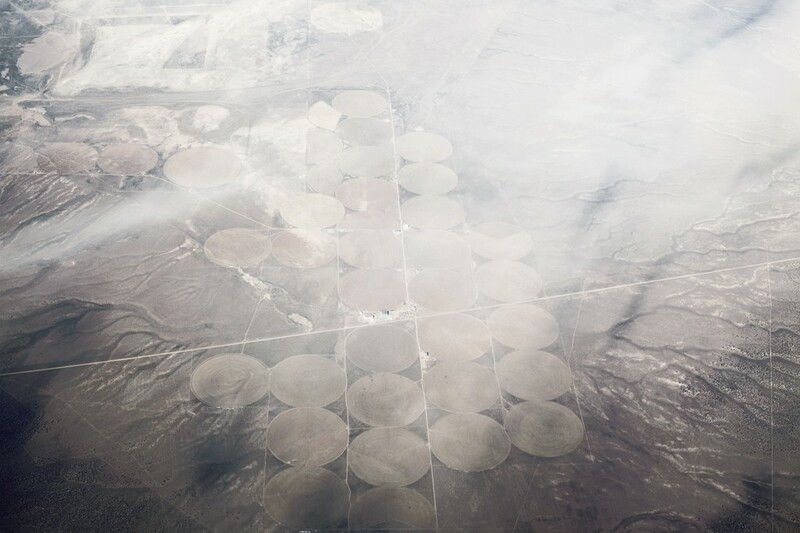 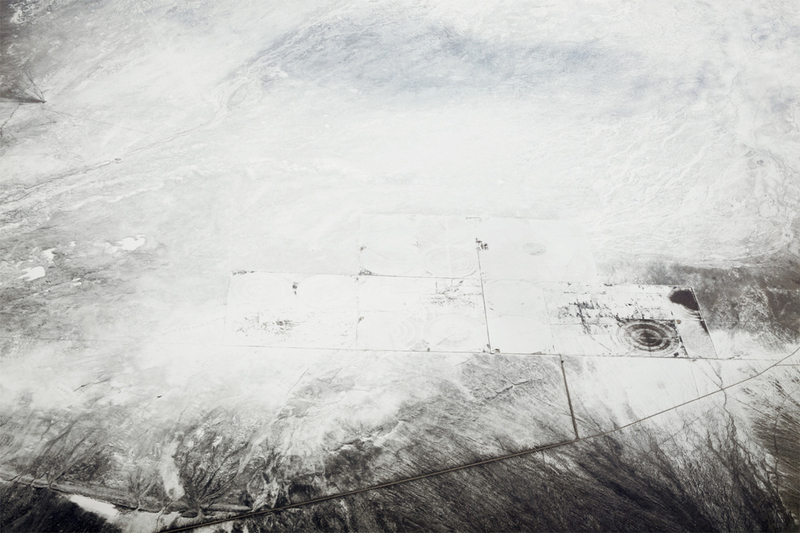 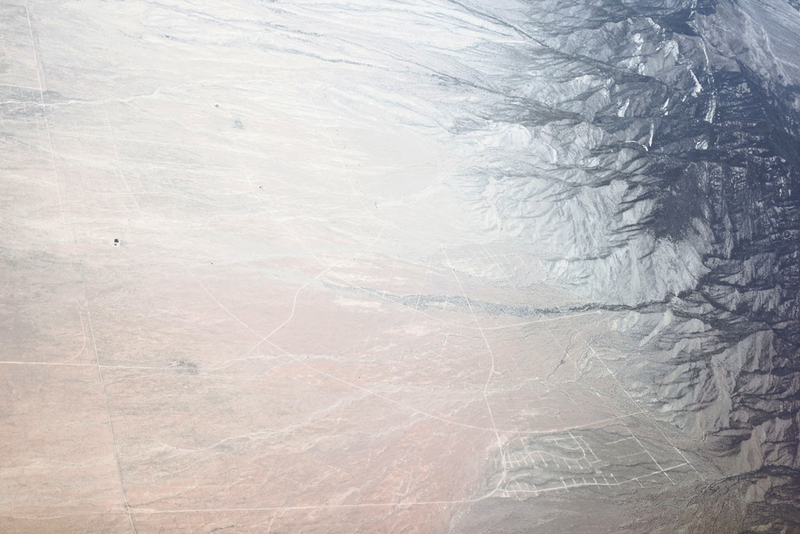 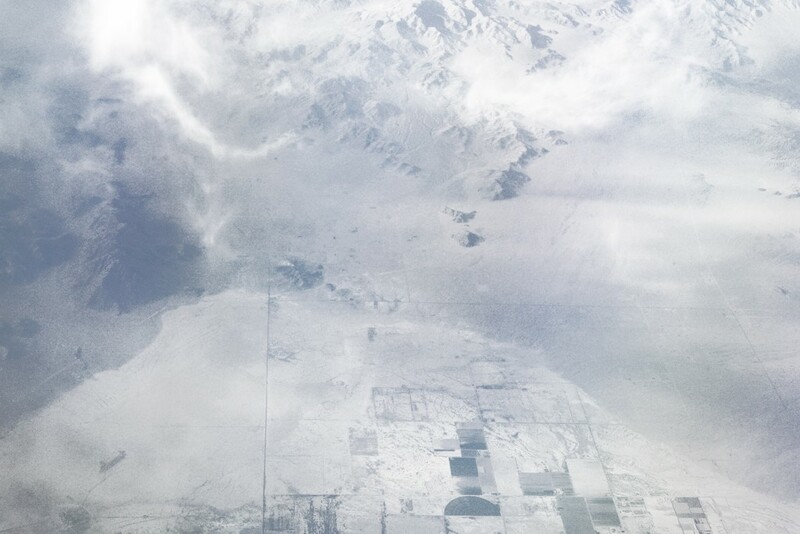 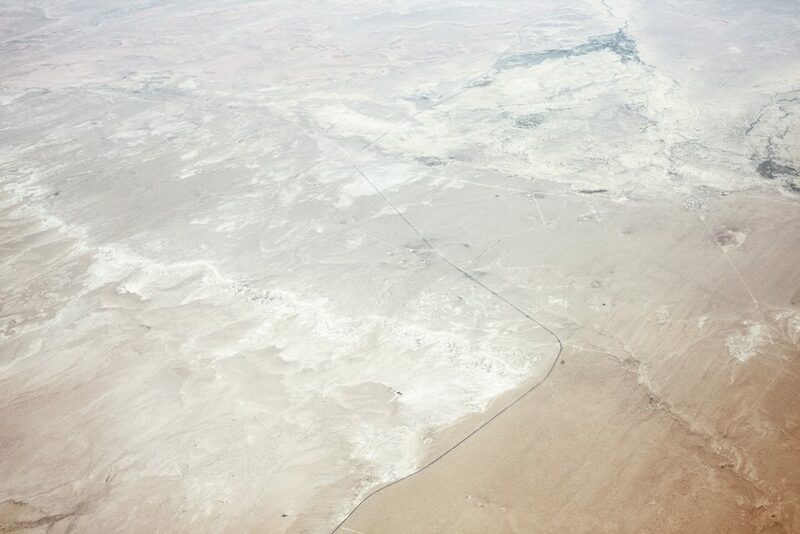 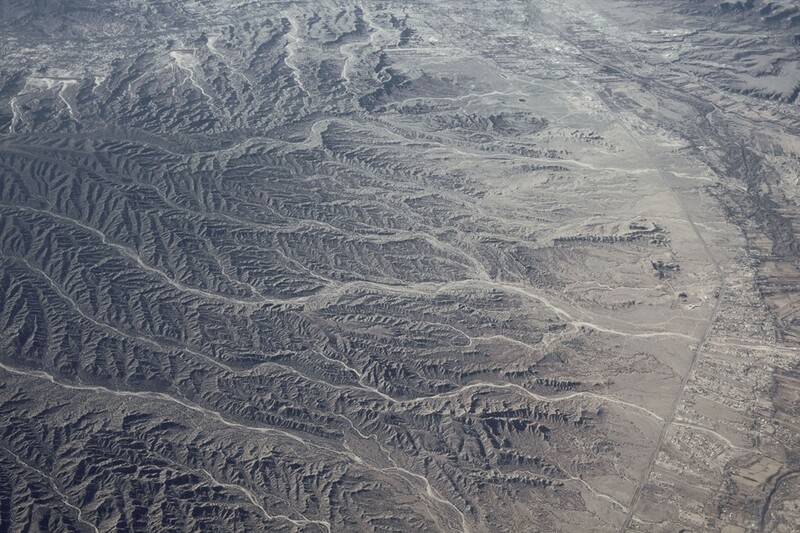 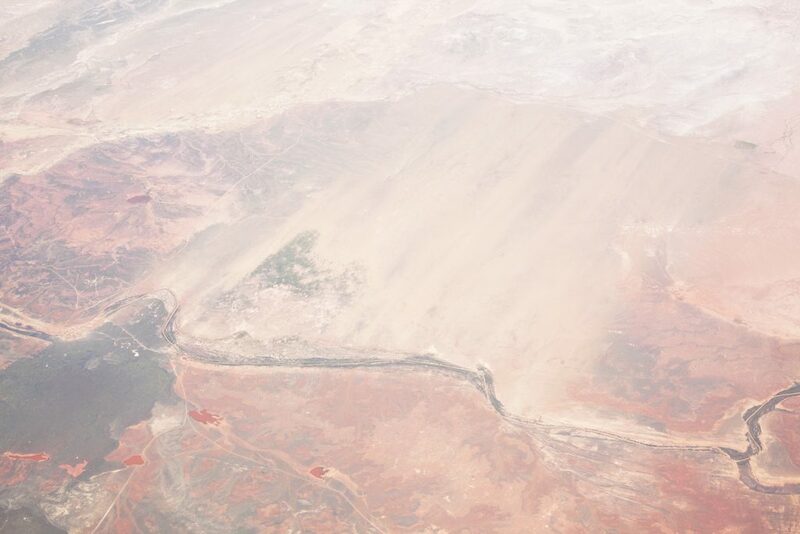 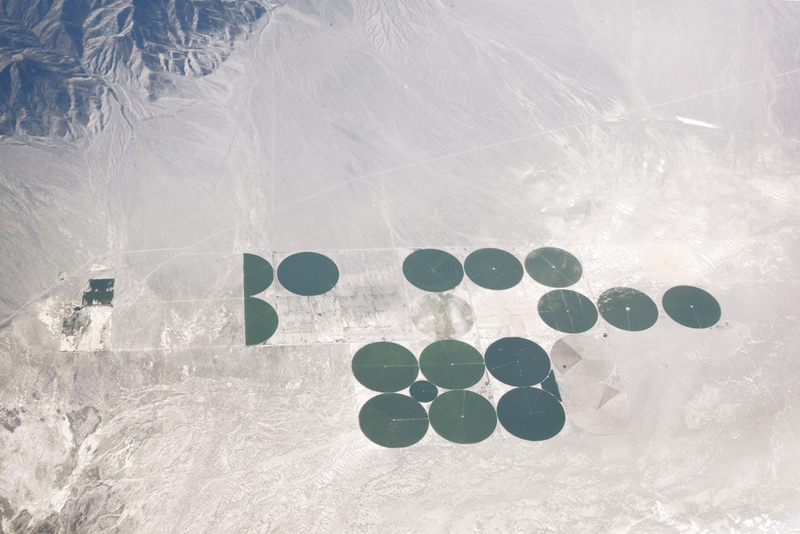 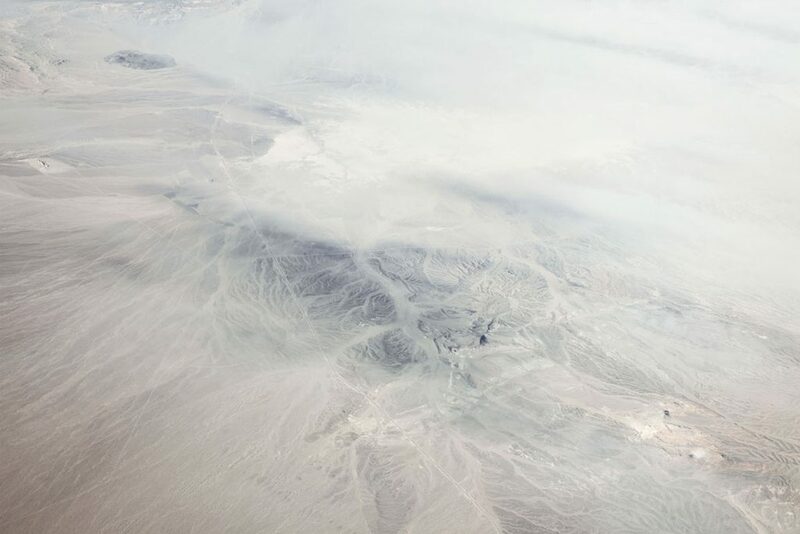 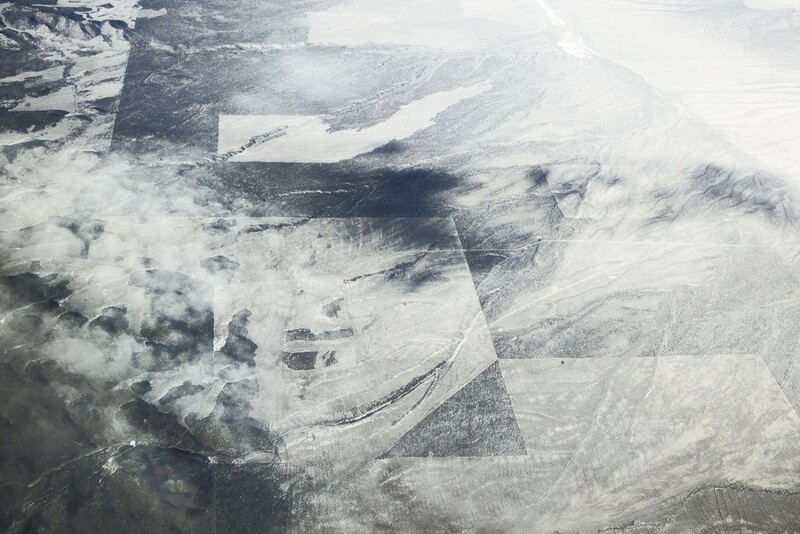 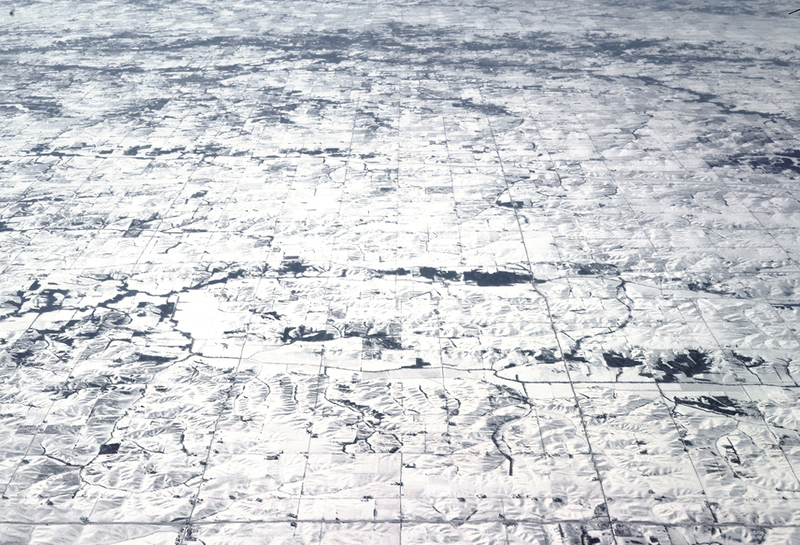 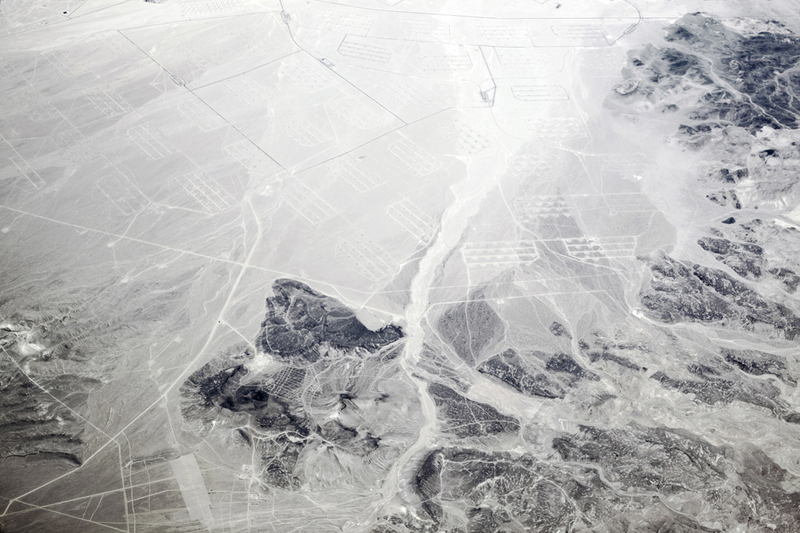 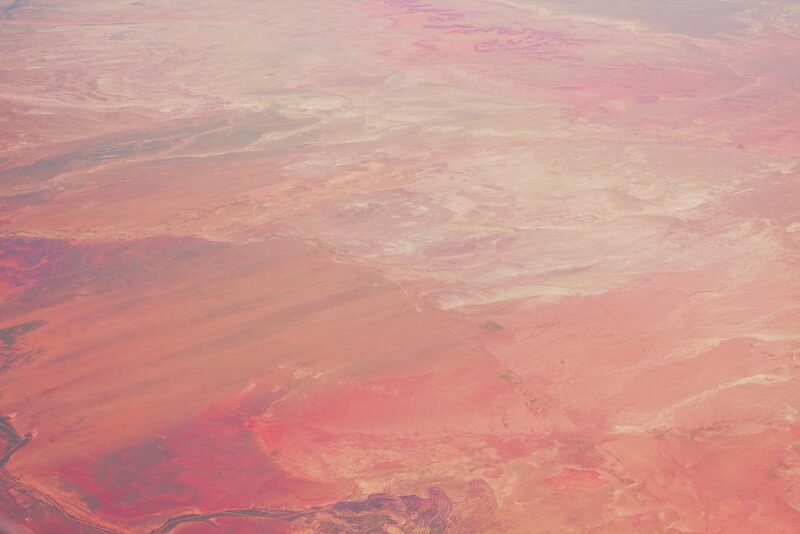 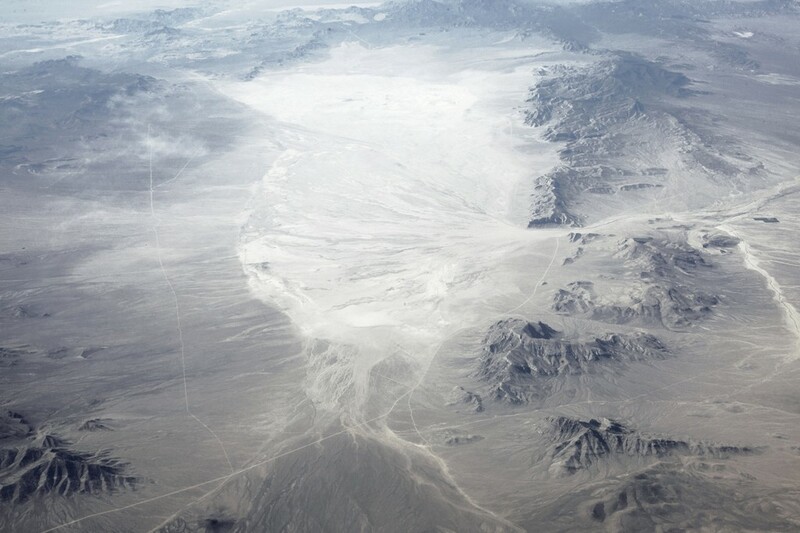 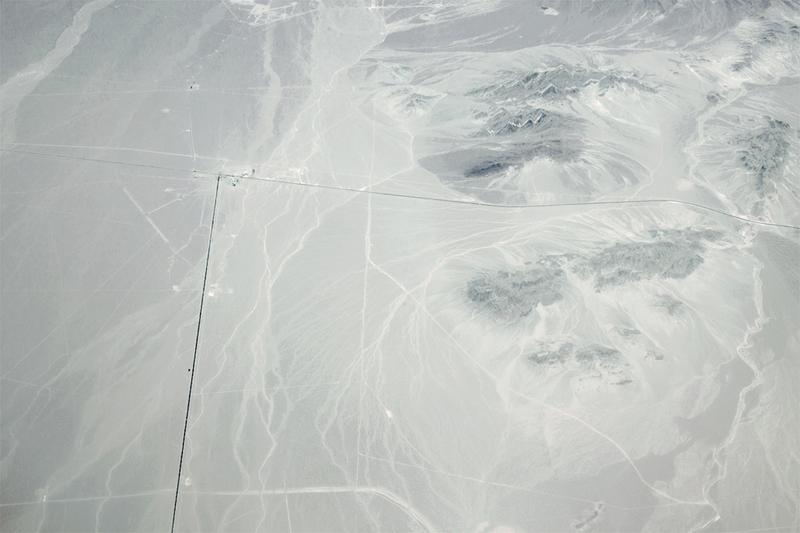 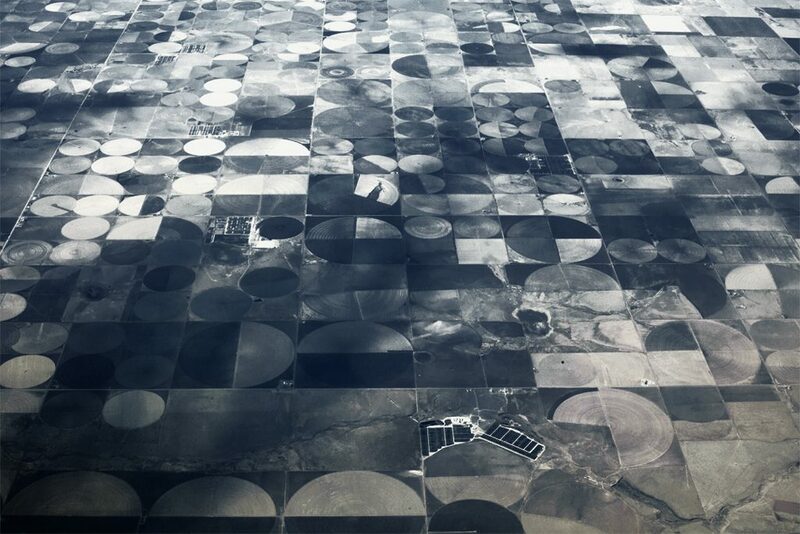 “At 36000 Feet” is an ongoing project of aerial photographs of the US Southwest desert landscape. Images of ancient geological formations and modern human traces. 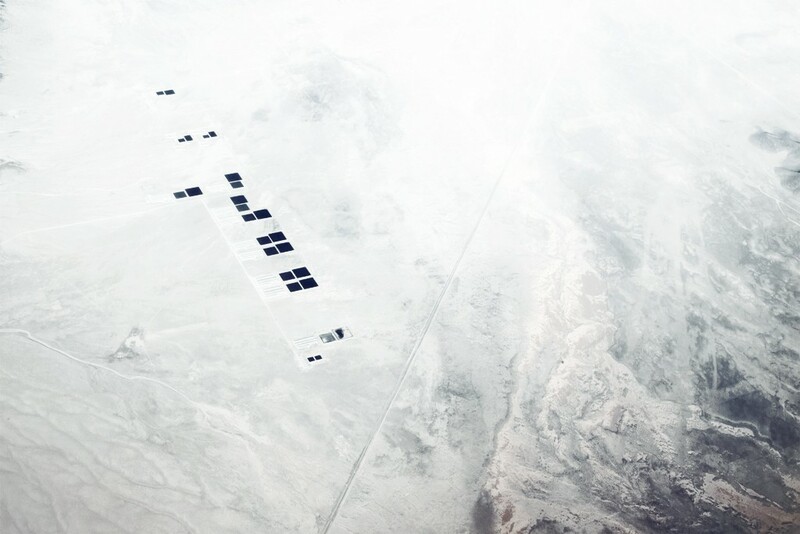 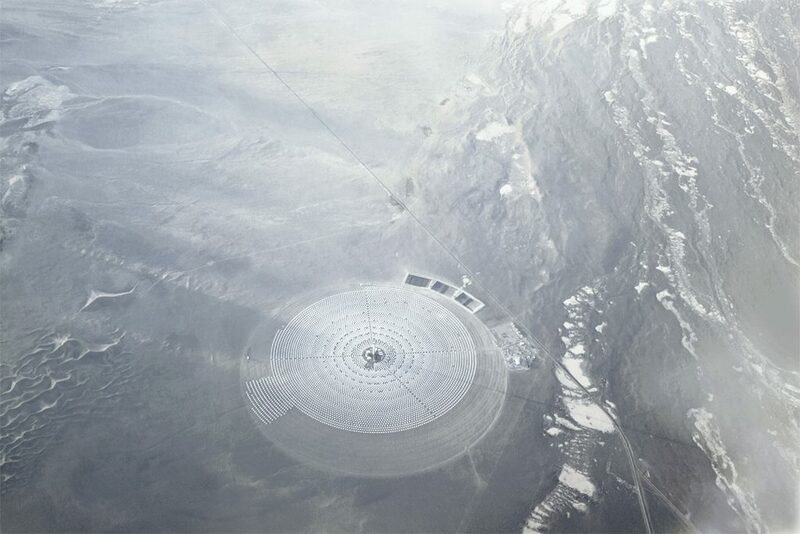 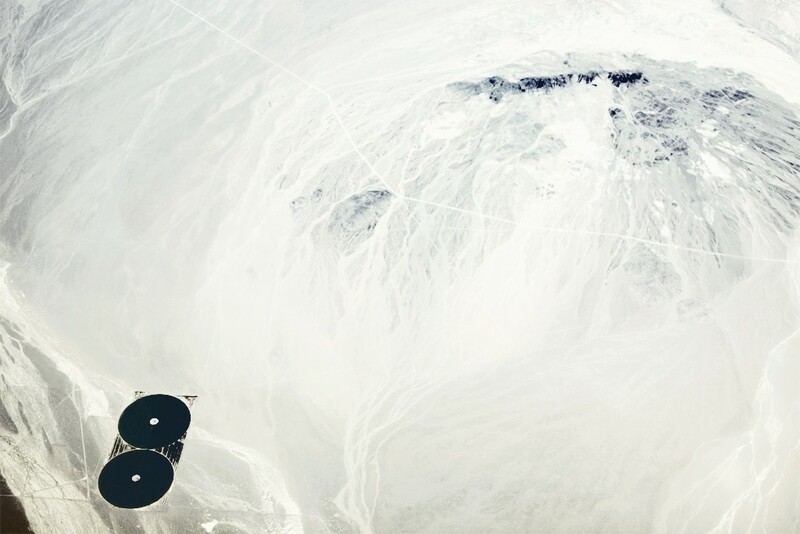 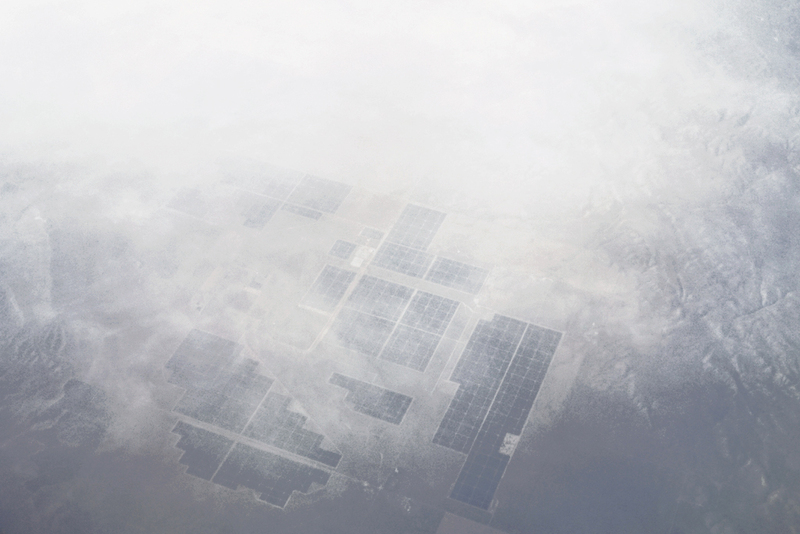 Abstract and immense spaces are crossed by salty valleys, lines and points, and the presence of new high-technology forms, seem part of a futuristic place in a contrasting, mysterious time.